Many of the sledding, tubing and kids activities in Summit County are budget-friendly – or even FREE. Other winter vacation activities will keep kids of all ages busy and happy! The little ones want to sled, the parents want to snowshoe, the teenagers want to practice their snowboard tricks. You know that scenario? Places like Frisco Adventure Park cater to families with differing interests. There’s everything from sledding and tubing to entry-level ski lessons and cross-country skiing. Afterwards, there’s a cozy lodge to warm up in together. Also, many Colorado ski resorts offer snow tubing lift tickets and rentals right on the mountain. 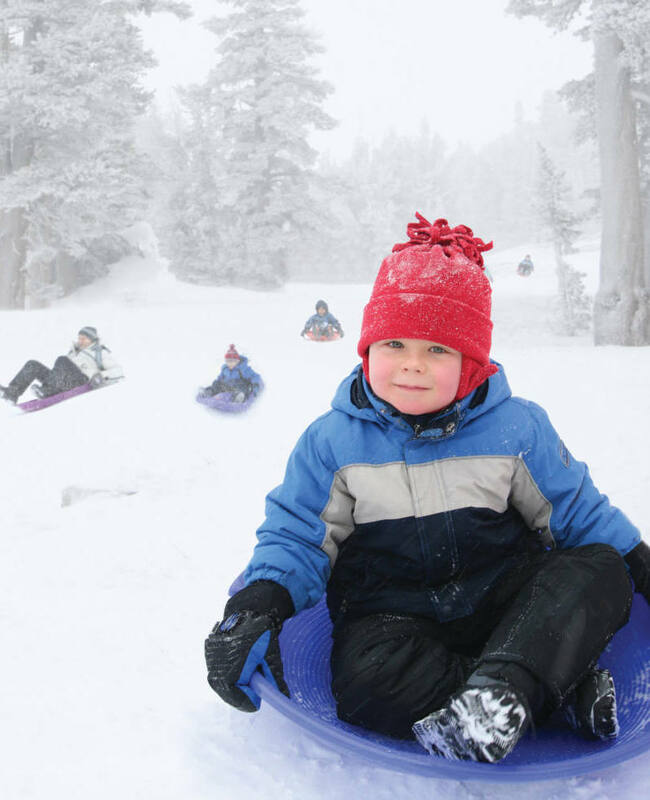 Winter offers a host of outdoor fun for the little ones on vacation! After skiing and snowboarding, a sure favorite is sledding and tubing in Breckenridge, Keystone and other Summit County towns. The Frisco Adventure Park tubing hill is a great place for kids to be kids. And adults can be kids again! The hill features 1200-foot tubing lanes. There’s lift service up the hill. Additionally, it even offers tubing at night under the lights. High Country Tours offers a unique twist on sledding, tubing and kids activities. It offers a tubing and snowmobile tour combo! For most tubing hills kids need to be at least 36″ tall to participate. There are also old-fashioned, do-it-yourself sledding hills at Rainbow Park in Silverthorne and Carter Park in Breckenridge. So you’ll need to bring your own sled or tube. And don’t forget your camera! Have you EVER had the chance to try a dog sled tour? It’s a unique adventure travel opportunity that lets you imagine yourself on the Iditarod, or saving children from the Diptheria epidemic in Alaska. Fun in the snow with lovable pups! Several nearby tour companies offer dogsledding (or summertime dog cart and dog scooter activities) to let you explore the Colorado backcountry with the entire family! Guided Snowmobile Tours. 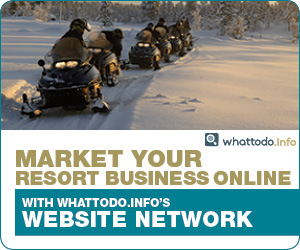 Explore the surrounding mountains on the back of a snowmobile! Local snowmobile tours will take you to scenic vistas in a rugged but comfortable ride, kids over 16 can usually ride their own machines. The Town of Silverthorne offers FREE nordic skiing and snowshoeing at the Silverthorne Nordic Center. There’s also FREE ice skating at North Pond Park. Sleigh bells ring, are ya listenin’? How about a sleigh ride? Take in a unique dinner show with the whole family. Enjoy an evening sleigh ride, with a delicious dinner and entertainment. Follow it up with hot cocoa around a campfire. Find nearby sleigh rides here. Take the kids ice skating. Ice skating is available at the North Pond Skating Rink in Silverthorne and the Stephen C. West Ice Arena in Breckenridge. The ice arena is open year-round, offers skate rentals or go in and watch an adult hockey league game for free. Local Recreation Centers. The Breckenridge Rec Center has a huge indoor rock-climbing wall, many swimming pools, a large water slide, and lots more. This place is a dream for parents and kids alike. The Silverthorne Rec Center is more like a water park with four pools and a 140-foot spiral slide! Who said history isn’t fun? Especially when it includes cowboys and outlaws and crazy miners! There are many mine tours nearby, most open in winter. Check them out! Similarly, there are tours of historic sites in Breckenridge and nearby Leadville. You’ll be amazed at the colorful history of the area. DESSERT. Everything is better with sugar. Mountain Top Cookie Shop serves delicious, homemade cookies from two Summit County locations, Blue Moon Bakery was voted “The Best Dessert & Bakery in Summit County.” Candy lovers can visit the Fuzziwig’s Candy Factory. The perfect place to get your sugar fix, it features over 500 varieties of candy and old-fashioned ice cream. Check out our Coupon section for savings at these and other local businesses. Click here to see all available kids activities in Summit County.